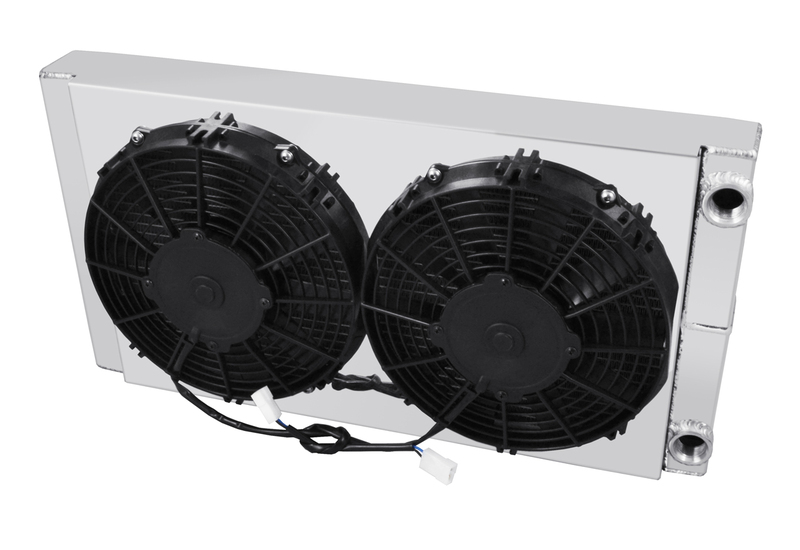 Champion Cooling produces radiators for classic cars as well as race cars, such as our racing radiator series designed to cool full body drag cars as well as dragsters. These 100% American made radiators come with one row 1 1/2” tubes and are already complete with a shroud and fans ready to go. There is no fill neck so the radiator would need to be filled through the thermostat housing on the intake manifold or an inline fill neck. They come with mounting bungs but, if you need any specific bracket or mounting set up, our fabrication department offer modification services. Please feel free to call our customer service line if you need fabrication or have any questions.